If you want to add this outline or check it out for yourself, I've attached it. You'll have to change the file extension to .out. Well done, Steve. Very nice. Thanks, Bill! Next up was KORH. I think it turned out all right. Any requests? Excellent work Steve, they look great! Thanks! I need to study the method; just a matter of finding the time to do it. Nice work! Here's Beverly - perhaps adding in every bit of paint on the runway is excessive. I had to rename this one from .out to .rsf to fit it under the upload size limits, just rename it back to .out to use. Thanks for the link to the above webpage. The concept is simple, but there is one aspect of it I can't figure out how to overcome. In certain areas when clicking to follow the outline, the marker overlays where the next point should be made. For me at least this prohibits me from clicking where I need to click. I'm using Chrome and I haven't tried another browser. How are you overcoming this, or is it just Chrome where it's crapping out? Nevermind, I just answered my own question. Good to start with a fresh mind....just zoom enough to overcome the marker size. Carry on! Here's my first one. Seems to have come out pretty good. KHYA.txt attached; switch to .out. 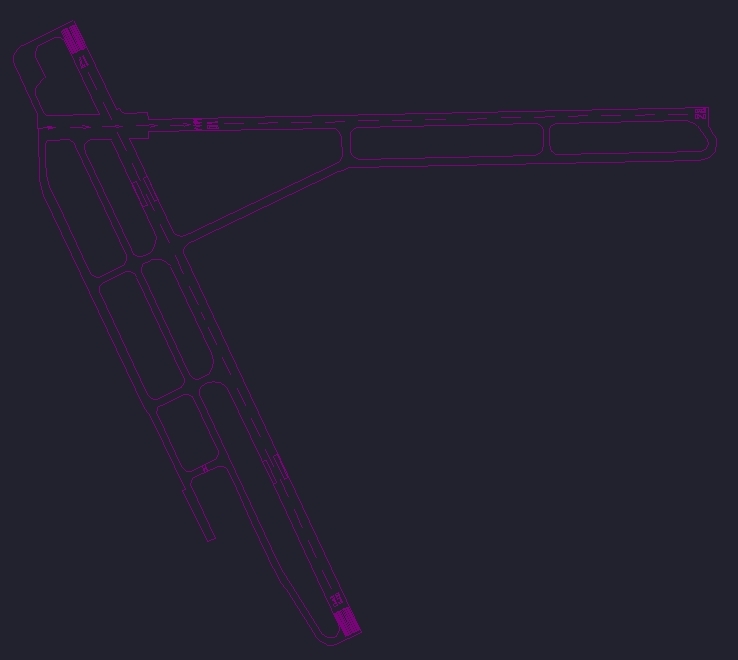 I wasn't happy with the TF Green outline that came with some file I installed at some point ( ), so I re-did that airport too, and it's attached here if anyone wants it. On a side note I also added the .out extension as a valid one. I had a feeling that might be an issue. I'll have to work on how vBulletin interprets the type of file. In the meantime I've changed it back to .txt and I'd suggest anyone posting one keep it that way with the message to remember to change it to .out once it's downloaded. Sorry for the mix-up.